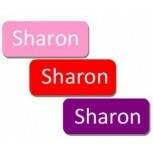 Small name labels are useful for various items that are easily lost. In short: on all things that you want to label well! 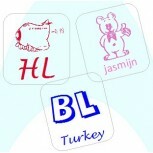 The adhesive labels are dishwasher, microwave, freezer and UV-resistant. 30 pcs. Super original stick-on labels, partly reversed. Extra fun for your Bento lunch box! 30 pcs. Small vinyl labels do great for lunchboxes and drinking cups. 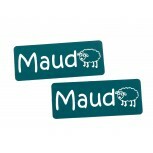 Small Name Labels Ton sur Ton. 5 Color set! 5x 10 pcs. 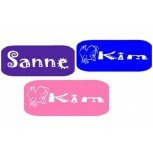 Colorful girls labels set for lunchboxes cups, bottles, containers, car seat, play station, media players. 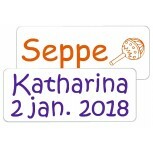 Small Name Labels Multi Color. 5 Color set! 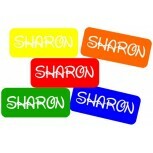 5x 10 pcs.Colorfuls name labels for lunchboxes, cups, bottles, containers, car seat, play station, media players. 5x 10 pcs. Colorful boys set for lunchboxes, cups, bottles, containers, car seat, play station, media players. 30 pcs. 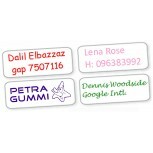 Colorful girls assorti labelset of 3. 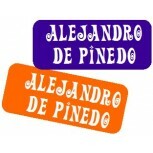 Ideal for branding your name on lunch boxes and other stuff. 30 pcs. 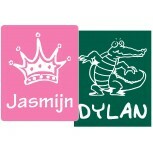 Colorful boys assorti labelset of 3. 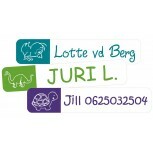 Ideal for branding your name on lunch boxes and other stuff. 44 pcs. Cheerful sticky labels for example K-Mart Lunch Items. 40 pcs. Nice special adhesive labels also on for Rosti Mepal products. 40 pcs. Cheerful sticky labels are also applicable to Rosti Mepal. 40 pcs. Small adhesive labels are very exclusive because nobody has them due to the special form. Easy to apply and f.i. useful on any lunchbox. 30 pcs. 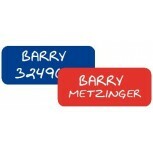 These beautiful name labels are also particularly suitable for Contigo drinking bottles. 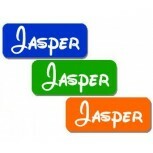 20 Neatly sticky colorful name labels, an unique and compact way of marking! 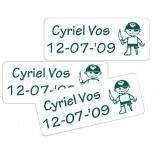 20 Neatly sticky white name labels, an unique and compact way of marking!